As a geeky gal that likes to sew, I found these pin cushion rings ridiculously delightful. The pink house pin cushion ring (above) is by LittleCloud. An Etsy search for pincushion ring yields many other makers for different prices. 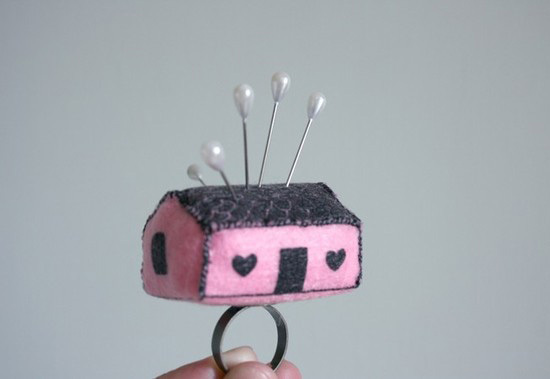 You can always make your own pin cushion ring if you are so inclined. 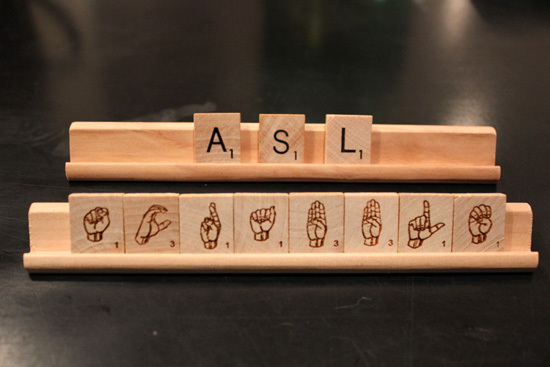 These laser etched scrabble tiles by memoryengravers can be found via Etsy. This infographic shows 119 controllers over seven decades of gaming. 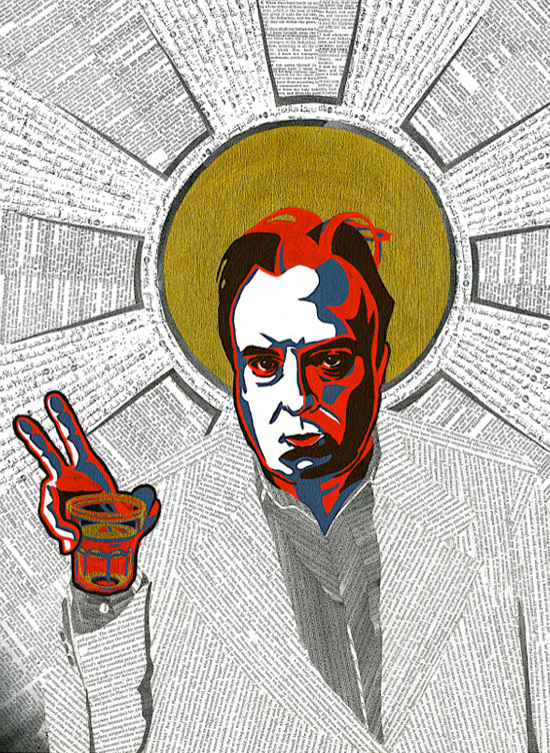 The print is purchasable at PopChartLabs.com.